This conference is the 16th Annual Research Seminar by the Cambridge Heritage Research Group. Heritage in Africa is increasingly employed as a vehicle for development. The desire to make heritage pay is palpable. Can one really put the onus on Africa’s past to not only be self-sustaining but also to fuel development? How can Africa’s heritage be used to shape and secure a sustainable future for the continent? This conference aims to explore the ways in which heritage can promote, secure or undermine sustainable development in Africa, and in turn, how this development affects conceptions of heritage in Africa. As the countries of Africa attempt to forge burgeoning economies and societies in the twenty-first century, cultural heritage has a role to play as the nexus where the past and the future meet. This conference will attempt to explore and challenge the seemingly dichotomous relationships between the past and the future, preservation and development, conservation and innovation in Africa. This conference has two broad aims: a) to understand the relationship, tensions and challenges between heritage, development and sustainability in Africa, b) to understand how heritage is conceptualized in a diverse African context in light of developing societies, economies and priorities. We are interested in papers which adopt local, national, regional or Pan-Africanist perspectives to examine the dynamics of heritage and sustainable development, and expand our understandings of the meaning of heritage from within a varied African constituency. 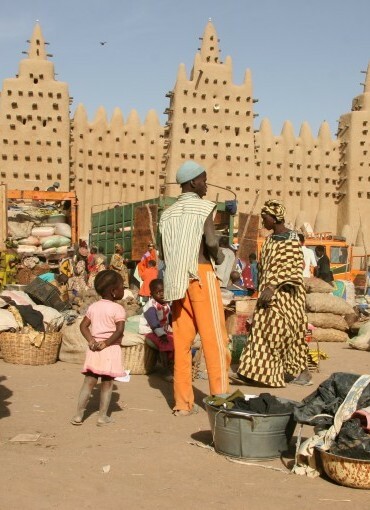 In what ways do heritage, sustainability and development intersect in African nations? Can heritage be conceived as a motor for innovation and change, or is it a barrier to development? What challenges or tensions arise as nations, cities and communities employ cultural heritage for economic, touristic, or societal development? What can heritage researchers learn from the African experience? This conference adopts a perspective which explores African conceptions of what heritage is or can be, and therefore we encourage papers which examine and challenge the relationships between tangible / intangible aspects of heritage, natural / cultural heritage, and the moveable / immoveable. We also encourage an interdisciplinary focus with innovative dialogues made between heritage studies, archaeology, anthropology, international development, political science, geography, sociology and museum studies. Further information about the conference programme can be found here and you can register here.